Suitable for security at working and commercial spaces. The doors are compactly rolled into an elegant case, that does not require much space. The case is installed over the lighted aperture, in such a way so that the aperture can be used as much as possible. 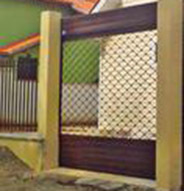 The case is constructed in such a way, so that the rolling of the doors is happening with minimal friction and maximum padding of its inside surfacing. Locking of the door and the securing can be done by photocells, blocking of movement in case of engine failure, etc. Braided – strong and secure, in the same time offering good visibility to the inside of the space. 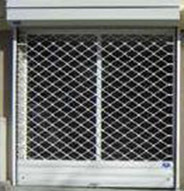 Solid lamellas – suitable for spaces where visibility to the inside is not required once the door is rolled down. Provides highest level of inaccessibility to the space. Also prevents the air flow. 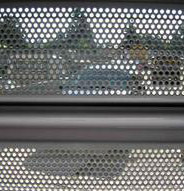 Perforated lamellas – made out of lamellas with many, evenly placed little holes – combines sturdiness and visibility. Guaranteed ventilation. 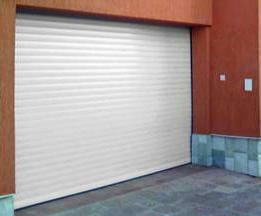 Pipe-like rolling door – made out of galvanized pipes. 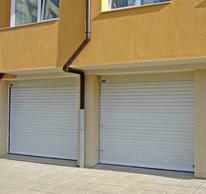 Just like the breaded rolling door, the pipe-like one is solid and modern, creates ethereality and perfect visibility. Suitable for display windows. Manufactured in a RAL catalogue colour, chosen by the client. Suitable for protection of working and commercial spaces. 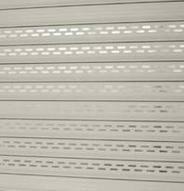 Made out of galvanized and painted profiles to prevent them from corrosion, side conductors from galvanized steel, brushes and rubbers in order to decrease the level of movement noise to minimum. Locking of the door and the securing can be done by photocells, blocking of movement in case of engine failure, etc. 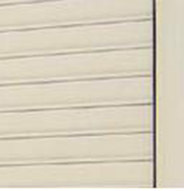 Thermal insulated lamellas – these kind of door are manufactured with thermal insulation. They are using thermal insulated lamellas made of aluminium or steel. Suitable doors for working spaces with direct connection to your home or office.